Minimum of 4 passport size photos. CUSAT CAT scorecard, Class X, and XII original mark sheet. Father’s Income Certificate (If the candidate opts for the Fee Waiver). Commencement: CUSAT CAT 2019 counselling process is expected to begin from 30th May 2019. Notification: Candidates are advised to check the official website once in a week as CUSAT CAT 2019 for any new updates. Candidates should note that call letter or any other communications regarding CUSAT CAT 2019 are never sent to the candidate by post. Registration: During the CUSAT counselling session, candidates have to register themselves for the specific academic programmes of the University as there are various branches in CUSAT. Counselling link: At the time of counselling, candidates will be provided with a link that will help them in registering through the login portal. Merit List: As per the candidates rank in the CUSAT CAT 2019 entrance exam merit list will be prepared. 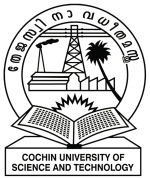 Cut-off Declaration: CUSAT CAT 2019 Cut off will be declared by the conducting authority, Cochin University of Science and Technology on their official website which will be the basis for counselling procedure. Number of vacant seats in different institutes. Candidates need to register themselves for the CUSAT CAT 2019 counselling process after the release of the results. Candidates will be provided with a link for registering through the login portal. Candidates are required to enter all the necessary details correctly in the counselling form. If any candidate fails to register him/her on time, then he/she will not be allowed to participate in the counselling process. And, no request regarding the same will be entertained. Candidates need to enter their username and password and log into their account. Now candidates need to select the options as per their choice. This is the one – time facility for the students in which they have the opportunity to select the options. It is recommended to the candidates that they should place the most preferred options on the top, followed by the rest of the other options in the order of decreasing preference. Once the choices are locked by the candidates, it can't be modified or altered in that round of counselling process. The seat allotment in CUSAT CAT 2019 counselling rounds, these options play an important and crucial role in deciding the course and the college one will end up with. Finally ones the candidates make the choices, the counselling authority processes the options entered by the candidates. Thus determining the final course and the college to be allocated to each candidate. This is the final round of the CUSAT CAT 2019 Counselling Process. Basically, the seats will be granted to the students as per the candidates' preference, the rank of the individual candidate and availability of the particular seat at that rank. At the time of seat allocation, the candidates with a higher rank in CUSAT CAT 2019 exam will be given priority. Community Certificate and Non-Creamy Layer Certificate issued by the competent authority. when we will be having counselling?how it is done? The CUSAT 2017 Counselling will start after the few weeks of the result announcement for all the candidates that have qualified the exam. The counseling schedule will be updated on the official CUSAT CAT website. The first and the prime stage of the counseling procedure is the registration stage. In order to participate in the counseling procedure, the students need to enter their options as per their choice. Finally, the official authority processed the options entered by the students so as to allot the seats to them.This is the last and the final round of the CUSAT CAT 2017 Counselling. The rank of the student plays the crucial role in the seat allotment round.